The Rite of the Christian Initiation of Adults (RCIA) is a guided conversion process by which non-baptized adults (catechumens) and baptized Christians (candidates) aged 19 and over are fully initiated into the Catholic Church. RCIA is an opportunity for people to learn about the doctrine of the Catholic faith and enter into full communion with the Catholic Church. The RCIA process is conducted by a team of lay church members and clergy over a seven-month period which begins every year in September and continues through Easter. For info regarding Infant Baptism, please contact the parish office. 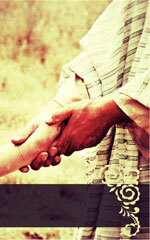 God wants us to do corporal acts of mercy. So as part of the 2016 RCIA program we decided to not only talk about the corporal acts of mercy but to live them out! And that is what we did. 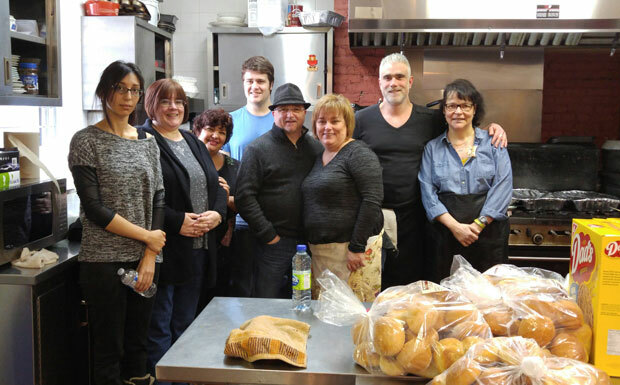 On Feb. 26, we prepared food to serve 140 people. On Feb. 27, as we served them at the Benedict Labre house, our candidates experienced this beautiful grace.